Why Did My HydroFloss Break When I Used It In Australia? *If you would like to inquire about having a HydroFloss shipped to Europe or Australia, please use the phone number at the top of the screen or use this contact page. Is The HydroFloss Like The OxyCare That You Bought? Answer: No, it is better. The oxycare is no longer made. 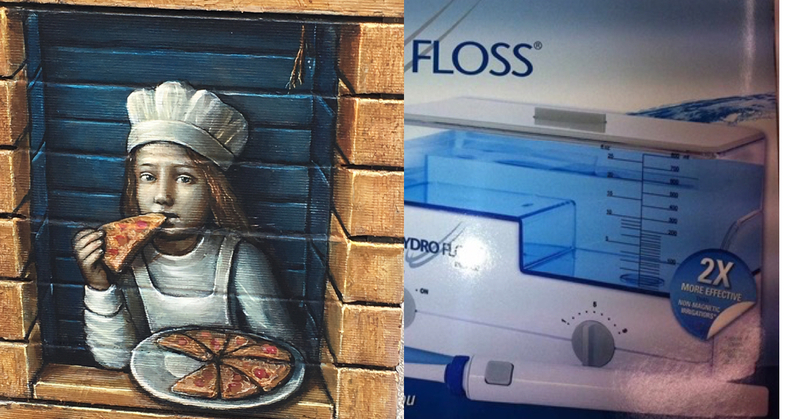 The HydroFloss has been around longer. The HydroFloss has a rather large magnet in it compared to the oxycare. The oxycare had a very small round magnet. Moreover, the studies on the effects of the HydroFloss were peer reviewed and published in the Journal of Clinical Periodontology. Those results showed that the HydroFloss with its magnet was about 50% more effective at reducing plaque and tartar buildup between office visits than irrigators without the magnetic technology. This often equates to a reduction in periodontal pockets and gums getting healthier when the HydroFloss is used correctly. The studies were done on the larger, cylindrical magnet in the HydroFloss magnetic oral irrigator. It is difficult to imagine that the small round magnet in the Oxycare that is no longer manufactured could equal or rival the results of the much larger and tested magnet of the HydroFloss. After reading that, you don't have to ask me, you can form your own conclusion. 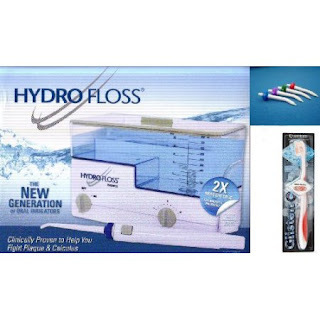 If you would like to purchase a HydroFloss, you can do so by clicking right here. 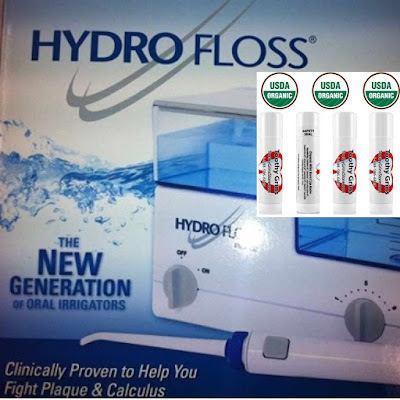 I will share with you the information I have on how to get the most out of the HydroFloss. 1. The "best practice" - how to give yourself the best chance of reducing those periodontal pockets. 2. How to make your HydroFloss last longer. 3. How to know if you are getting results or not - this is an objective measure not guesswork. Plus, I believe you will pick up other useful information from our conversation. How Does a HydroFloss plus a FREE set of pocket pals and a FREE quantum labs toothbrush sound? To summarize, you will get a Hydrofloss hydromagnetic oral irrigator for regular price. In addition, you will receive a free package of pocket pals - a $14.99 value plus a free quantum labs toothbrush with special Dupont filaments. Take advantage of this deal while it lasts. 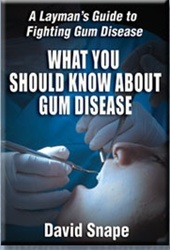 You might also be interested in the short guide: How To Stop Gum Disease In 4 Easy Steps. David is available to customers who purchase a HydroFloss from Toothy Grins Store to answer questions and discuss how to get the greatest benefit from the HydroFloss. This will be of special importance to you if you are fighting gingivitis, gum disease, periodontal disease, periodontitis or have been told that you need a scaling and root planing or a 'deep cleaning' treatment. Shrinking your periodontal pockets down to normal levels - those that dental professionals believe are healthy is the end goal. Your progress can be monitored by having your hygienist or dentist measure your periodontal depths. Generally speaking when you get your Periodontal Pockets down to 3mm or less, most dentists would agree that your gums are healthy at that point. That is where you might find a conversation with David helpful. Again, this is available to those who purchase a HydroFloss from ToothyGrinsStore.com only. The HydroFloss oral irrigator is one of the coolest devices on Earth - as far as your dental health is concerned. The way I found out about the HydroFloss is that I was trying very hard to find something that would reduce my periodontal pockets. They Hydrofloss, X000IZ6U11, turned out to be the right tool for the job. My dentist confirmed that my gums were healthy again and she verified that I no longer needed the dreaded "deep cleaning" or Scaling and root planing she had been recommending for a long time. I was delighted that the HydroFloss, 0701748831757, did the job. Pizza, Remember to HydroFloss After Eating Pizza! Do you love pizza? Are you tired of how dirty it makes our teeth? The HydroFloss is great at getting rid of that kind of stuff and making your mouth and teeth feel super clean. This is an excellent device that has helped a lot of people with their dental health. There is literally nothing else like it on the market today. Plaque comes off easier resulting in a greater reduction in plaque and tartar build up between regular office visits due to the magnet's ability to place a charge on minerals in the water. You can find that the magnet resulted in a greater reduction of plaque and tartar build up between office visits in two peer-reviewed research articles in the prestigious Journal of Clinical Periodontology May of 93 and April 0f 98. This is a great device that many know about but many still do not know (as of this writing). I hope to change that and make more people aware. Often the question comes up when comparing dental oral irrigators: Which one is the best? Both are oral irrigators whereby you use a 'jet' stream of water to help clean your teeth and gums. In this regard they both do the same thing. However, there is an additional component to consider. The HydroFloss oral irrigator contains a magnet. This magnet puts a charge on the minerals that are in the water causing the plaque and bacteria to become less adhesive. This means that the HydroFloss does a better job of removing plaque and reducing tartar build up between your regular office visits. Before you go doubting the science behind the magnet, you should understand that the magnet is proven to be more effective. (Statistically significant). The studies were done by third parties and published in the Journal of Clinical Periodontology. There were studies done on two occasions, proving the effectiveness of the magnet over not using one. Again, the results were statistically significant and both research groups came to the same conclusion. You will get about a 50% greater reduction in tartar buildup between your regular office visits by using the HydroFloss with it's magnet rather than without one. That's real science and it shows how the HydroFloss is effective in a way that other dental oral irrigators are not. Does this 50% make a difference? You bet it does. I've spoken with many people over the years. On one occasion I spoke with a person who's gums became healthy after using the HydroFloss. She switched to another brand of irrigator later and her gums become unhealthy again. Then she switched back to the HydroFloss and her gums became healthy again. Of course, that is just one person and one case. So you can dismiss it if you want. However, I know the HydroFloss made my gums healthy again. And I have spoken to many people over the last 8 or 9 years or so and I hear similar stories to my own. Why doubt what has worked for so many people? The HydroFloss saved me from a SRP or Scaling and Root Planing Treatment. That's $1500 (and often more). If I had to choose an irrigator, knowing what I know about the HydroFloss, I would, of course, choose the HydroFloss oral irrigator and no other. If you want to read more about the HydroFloss, you can do so here. Of course, if your reason for getting an irrigator has nothing to do with the health of your gums and teeth, you could go with the less expensive H2ofloss. Or other brands that you can often find at your local pharmacy. And if I weren't concerned about the health of my gums and teeth, that is probably what I would do to save a few bucks. Looking for a brand new HydroFloss new generation oral irrigator along with Pocket Pals and a Quantum New Glisten Toothbrush all for the same price as a single HydroFloss alone? All for the price of a single HydroFloss new generation oral irrigator alone. If you have questions about this offer you can dial the number you see at the top of your screen. This line is available during normal business hours. However, if you do receive a message during or after normal business hours, simply leave a message expressing your desire to purchase a HydroFloss and your phone call will be returned. This is the easiest method for you to obtain a HydroFloss. Hydro Floss Leaking? What Can You Do? If your HydroFloss Hose is leaking, what can you do? Which Dental Water Jet For Home Use Is The Best? That's an easy question to answer. There is really only one that you should consider because it is the best - by far. Because it uses something a bit different from the others, it is more effective. The clinical peer-reviewed results are out there and documented. The HydroFloss is the best one. There are multiple reasons but the only one that matters is the one tied to results. People get really good results with the HydroFloss. I've talked to many people who have used it and found a super beneficial affect on their dental health. I have personally used it. I attribute it with saving me from a Scaling and Root Planing (SRP) treatment. I know that others have obtained similar results because I've talked to some. I could go on about how gum disease is the number one cause of tooth loss and that most people have some gum disease right now - whether they know it or not. But, what is the point? You are either going to be intrigued enough to check out this page, or you are not. I think that when it comes to dental health, you don't want to mess around. Do the most and the best you can in order to keep your teeth healthy and in your mouth for a lifetime of good service. I think the device I mentioned above is going to help. Of course, you want to always be under the care of a dentist and get your regular checkups and cleanings. But no dentist will be there to clean your teeth for you every day. So, some things really are up to you. Hygienists and dentist may tell you that what you do at home, on your own, has the greatest impact on your dental health. Go ahead and ask them. How Can I Save My Teeth? Can It Be Done With A HydroFloss? Many people fear losing their teeth and that is understandable. It could mean costly and problematic implants or dentures. You may fear losing the way you once appeared. In any case, no matter how technologically advanced it may be, there is no perfect substitute for your own natural and healthy teeth. That being said, you may or may not be aware that the number one reason people lose their teeth is due to gum disease. Gum disease trumps everything else and IS the most likely reason a person has lost a tooth. Of course, there are traumatic incidents like getting a tooth knocked out. Even though those things do happen, they are far less frequent than losing a tooth or teeth to gum disease. So be on your guard against gum disease. Gum disease is both hard to understand and quite bewildering. Here is what you might want to know. The objective measurement that many dental professionals use for gum disease is the depth of your periodontal pocket depths. Generally speaking, anything above 3mm would be considered 'unhealthy' by most dental professionals. Conversely, 3mm or less is generally considered healthy. How can you shrink your periodontal pockets back to 3mm or below? I've done it and I've talked to other people who have had similar results using the HydroFloss Oral Irrigator. You can see a HydroFloss Oral Irrigator Here. How do you know if it is working for you? Nothing works 100% of the time for 100% of the people, so how do you know if it is working for you personally? Easy, use it correctly and daily (every single day) for about 30 days and go back to your dentist. Compare your old periodontal pocket readings to your new ones. That will tell you if the HydroFloss has worked for you. 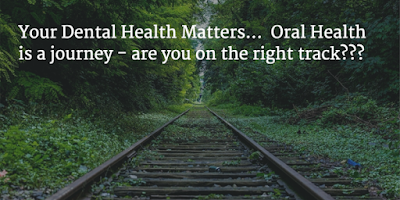 Your dentist can further evaluate your progress or lack thereof. Between your new numbers and your dentist's expertise, you will be able to ascertain how well the hydrofloss did or did not work for you. When facing gum disease or any other health problem, be under the guidance and direction of your dentist or physician. Best of luck to you. The HydroFloss is one of the best kept oral health secrets out there. Harness the power of this device for your own benefit. When you purchase your HydroFloss from ToothyGrinsStore.com, you are entitled to not one, but two free e-books. 2. How To Stop Gum Disease In 4 Easy Steps. These e-books are very helpful and contain information that you may not have heard anywhere else. This offer is only for those who purchase their HydroFloss from ToothyGrinsStore.com . If you purchased your HydroFloss anywhere else, this offer is not available to you. Your books will be available via your emailed receipt after checkout. If you checked out without leaving an email address, then you can contact the store for help. You will, of course, be asked for your order number. You can also call 1-888-586-6849 for assistance. Is There A Treatment For Shrinking Gum Pockets? Essentially, laser gum surgeries, deep cleanings, a.k.a Scaling and Root Planing Treatments (SRP) and other treatments are aimed at reducing and shrinking periodontal (gum) pockets. However, what is often not disclosed is that the recipients of these treatments will likely have to go through those treatments again 1 to 3 years or so later. So, these treatments are not necessary going to have a lasting impact. And of course, that is the essence of the difference between the two words "treatment" and "cure". Most health care practitioners will not use the word cure at all. Frankly, it is a bit dangerous to do so. A cure implies a permanent solution that works 100% of the time. That's hard to pull off in any branch of medicine. But these treatments are often very expensive, aside from not being 'permanent'. So, are there any alternatives that could be helpful? It's a fair question. After all, who wants to spend thousands of dollars every couple of years to keep gum disease under control? Yet, many will do so when there is a lack of awareness of other possibilities. Whenever dealing with gum disease or any other kind of oral health issue you should always be under the care of a qualified dentist or periodontist. This is important. Gum disease is the number 1 cause of tooth loss. Therefore, it is important to 'get it under control' (and keep it there) as quickly as possible. Gum disease is a bit mysterious to those who have no exposure or knowledge of what it is about. But, don't let it be mysterious. Essentially, it means that you have enough 'bad' bacteria accumulated , that secrete enough acids to destroy periodontal (gum tissue) which includes the periodontal bones that actually hold up the gums. That is one reason you may see recession with gum disease. Is There an Alternative For Shrinking Those Pockets? I once faced the problem of gum disease. I was offered the 'deep cleaning' treatment that usually runs around $1500 for the whole mouth. I felt there had to be a better way and I looked high and low. I tried a number of things including various mouthwashes, electric toothbrushes, essential oils and oil pulling. I would go back to check with the dentist and sure enough none of these methods did not have much of an impact. The dentist insisted that I needed that treatment right away. 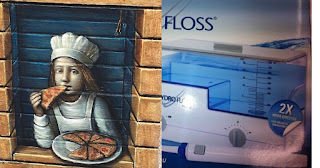 Then one day, I happened upon the HydroFloss Oral Irrigator. I decided to buy one and try it. Sure enough, after several months of use I went back to the dentist who was quite shocked. She told me that, "Whatever you are doing, keep it up. You no longer need that treatment." I was, of course, delighted. My hard work and decision to find an answer and to stick with it, paid off. Those periodontal pockets shrunk down to normal levels (3mm or less) and when that happens, the bacteria cannot accumulate to large enough quantities to secrete enough acidic waste products to destroy tissue. Generally speaking, your dentist will tell you that your gums are healthy when those periodontal pockets are 3mm or less. Generally speaking, they will also say your gums are unhealthy or 'diseased' when the pockets are above 3mm. I had 4s and 5s and if I remember correctly, one 6. The HydroFloss worked for me. However, after I began to sell the HydroFloss I found that many of my customers had similar stories to tell. Nothing is guaranteed 100% of the time for 100% of the people, but it seems like the HydroFloss works for a lot of people. Of course, you always want your dentist to monitor your situation and keep an eye on those periodontal pocket depths (which they can easily measure) . I hope this story helped to educate and inform you a little. If you want to learn more about the HydroFloss, check it out here. Again, be sure to work with your dentist to monitor for results or lack thereof. If this doesn't work for you, you may need to opt for one of those traditional treatments. 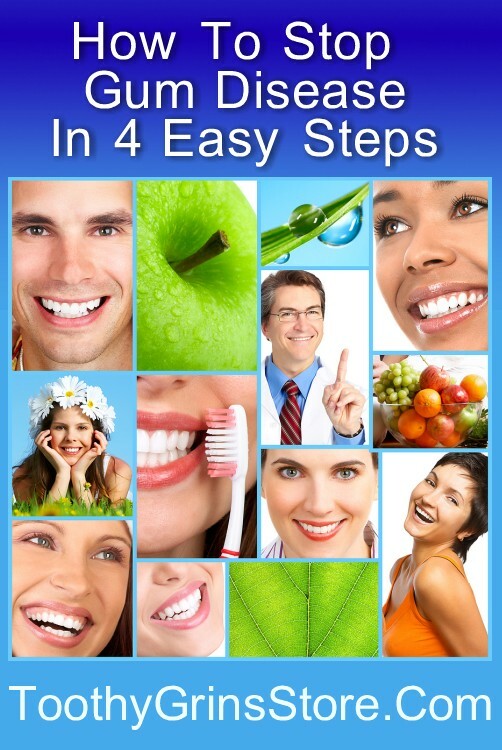 free guide: How To Stop Gum Disease In 4 Easy Steps. Is There A Remedy For Gum Disease? The number of people with gum disease is quite high. You can ask any dental professional, they will confirm for you that gum disease is quite rampant. So, if you have it, you are not alone. Some statistics say that 75% of people have it. Of course, you should always be under the care of a dental professional if you have or think you have gum disease. They can monitor your progress or lack thereof while you begin working on this problem. There are expensive treatments out there that many dentists are ready to perform. One point that is important to bear in mind is that whatever the expensive treatment is, there is a good chance it will need to be done again in the future. This is because your dental professional can only see or treat you a few times per year. However, the struggle against gum disease is a daily one. There is no getting around the need to disrupt plaque on a daily basis. If you are doing less than that, you may be opening yourself to danger. This is because after the plaque layer stays intact for 24 to 48 hours you have a problem. The bacteria that live under the plaque have been fully shielded from oxygen by the plaque layer. At this time they can begin to multiply rapidly and secrete the acids and toxins they have in large enough quantities to start damaging your tissue - this is what gum disease essentially is. The key point is that fighting this problem involves the daily disruption of plaque. This is not something your dentist can do for you, since they cannot be with you on a daily basis. The burden of daily plaque disruption falls to each of us as individuals. There is a relatively objective measurement that can help to let you know when the bacteria are at large enough quantities to do damage to your dental tissue. These measurements are called 'periodontal pocket depths'. You dentist or hygienist can take these readings for you fairly quickly. They should be taking those readings on every visit. This will form a history and baseline that you can use to determine if what you are doing at home is being effective or not. If the numbers are shrinking, that's a good sign. What you really want to see is that all of your periodontal pockets are down to 3mm or less. Generally speaking, most dental professionals will say your gums are healthy when you reach the 3mm or less mark. Of course, this encompasses the tissue around all of your teeth. In other words, the measurements need to be taken around every single tooth. What worked for me, personally, was the HydroFloss oral irrigator. I tried many things that had little impact on those pocket depths. However, the HydroFloss really did it. I've talked to other people who have obtained similar results from the HydroFloss. You can get an objective feel for those results via the measurement of those periodontal pocket depths. Basically, your dentist can tell you what those measurements are, so you are always working with your dentist which is good. Basically, the remedy that worked for me was the HydroFloss. First, before I get started on this topic, it is important to say something: You should always be under the care of a dental professional when dealing with gum disease. Perhaps a periodontist is the best choice. They are dentists who specialize in this problem. The reason this disease is serious is because it is the number one cause of tooth loss. Nothing else comes close. Most of the time when people have lost teeth, more often than not, it is due to gum disease. Gum disease is a problem that can exist at any age. It is very common for people to think that receding gums is a natural part of aging, but that is just not so. Gum disease and brushing too hard are the most common causes of receding gums. Deep cleanings (SRP or Scaling and Root Planing Treatments) and laser surgery are often prescribed for unhealthy gums. But is there a better way? It might be worth taking a look at the HydroFloss oral irrigator for a gentler, more natural and less expensive approach. Again, you should be under the care of a dental professional who can monitor and mark your progress or lack thereof. The key indicator to watch is something called periodontal pocket depths. When these improve to 3mm or less, generally speaking, most dentists would say your gums are healthy at that point. Is this even possible? Yes, it is. I myself, and many others have been able to improve our gum health via the HydroFloss to the point where our dentists agreed. In my case, I was able to avoid the deep cleaning treatment mentioned above. My dentist told me I didn't need it any longer after I had been using the HydroFloss. Will this be the case for you? I don't know. I think the chances are pretty good, provided you use the machine correctly. How to do so is something that I share with my customers (those of this website: toothygrinsstore.com). When the hydrofloss is used properly, the chance of reducing those pockets, which would then be verified by your own dentist, is pretty good - in my estimation. Others may or may not agree of course. Science has shown that the hydrofloss, due to it's special use of magnetic properties, has been able to reduce plaque and tartar buildup compared to irrigators that did not use these magnetic properties. This is the difference the HydroFloss offers. This information has been published in the Journal of Clinical Periodontology in both May of 1993 and April of 1998. One can simply look up those journal articles to see for oneself that the results were deemed statistically significant in both studies. So, there are both scientific and anecdotal cases for the HydroFloss. The objective measure of success, as mentioned previously, is those periodontal pocket depths. You'll be able to verify through your own dentist if the hydrofloss is working for you or not. So, there you have it. I don't think you are going to find a better solution. I tried a number of things previous to finding the HydroFloss and nothing else worked. Various mouthwashes, essential oils and even oil pulling were not enough to shrink those pockets. It wasn't until I started using the HydroFloss that I was able to shrink them down to 'healthy' levels and avoid the scaling and root planing or 'deep cleaning' treatment. Using water and magnetics are a natural approach that appears to have worked for not only myself but many others. The clinical science as depicted in the journal mentioned above on two separate occasions is there as well. So what are you waiting for? Let your dentist tell you if it worked for you or not! Nothing to lose, but definitely something to gain. On the chance it doesn't work for you, your dentist will be waiting with methods they can utilize to step in. But why not try a more natural, cost effective and less painful approach first? If you have questions, reach out. It's time to take action. Go to the dentist right away. If you are experience bleeding when brushing or flossing or if you wake up with a little bit of blood in your mouth, it's really time to go see a dentist. Bleeding gums can come from a few things, your dentist can diagnose and tell you what you are dealing with. Most of the time, a problem with bleeding gums is going to come from gum disease. But, you'll want a professional to rule other things out - just in case. If bleeding gums are due to gum disease, you'll want to take it seriously. Depending on who you talk to, gum disease afflicts 50 to 80% of us. However, it is a serious problem because it is the primary cause of tooth loss in the world today. If you want to save your teeth, you'll want to control gum disease. This will make things very simple for you. The key thing you want to know, monitor and improve is the depth of your periodontal pockets. Don't panic. It's a very simple measurement that your dentist or hygienist can take at the office. In fact, they should be taking these measurements at every visit. So, there may already be a record of these numbers at your dentist's office. The important thing to know and what will help you tremendously is being aware of those numbers. Generally speaking, most dental professionals will tell you that your gums are healthy when those pocket depths are at 3mm or less. That means that if you are over 3mm (around any tooth) then you have a problem. You now have an objective way to monitor the health of your gums. *Remember, making and keeping gums healthy can help you prevent tooth loss - because gum disease is the number one cause of losing teeth. Some people have pockets that go as deep as 8mm, 9mm or 10mm - some people have even deeper pockets. However, even if you have 4 or 5 or 6 mm pockets, you want to take action and get those down to 3mm or less as soon as you possibly can. After that, you want to make sure they stay at 3mm or less. Can you shrink gum pockets? (also known as periodontal pockets) The answer is yes, you can. Dentists have a variety of techniques and treatments designed to help you do that. Most are quite expensive and potentially painful. But what about this HydroFloss thing? Can it help to shrink gum pockets? Yes, it certainly did that for me personally. I've also talked to many people over the last years and I have heard from many that have achieved similar results. And again, these results would be verified through your dentist via the measurement of those periodontal pockets. Compare your old readings to the new ones (after using the HydroFloss) and you can prove to yourself whether it is working for you or not. If you would like to get a book on gum disease that I wrote along with your HydroFloss for the same cost as a HydroFloss alone, check this offer out. I hope this information was helpful to you. If you would like to comment, there is a comment section below. Is it possible to shrink gum pockets with the HydroFloss? The answer is YES! A number of people have done so. The results are easily verifiable by your dentist or hygienist as well. In the process of using the HydroFloss to shrink those pockets, make sure that you are always under the care of a dentist. The reason for this is to make sure it works for you. The doctor can monitor and, if for some reason, you don't get results, then the doctor will be there to step in and pursue another course of action. In the case of gum disease or any dental related issues, you should always be working with a dentist or doctor. However, many people have found success with the HydroFloss and that includes me! The real problem here is gum disease. Generally speaking, most dentists will say that your gums are unhealthy if your periodontal pockets (gum pockets) are above 3mm. Therefore, if you are able to get your pockets to 3 mm or less, most dental professionals, generally speaking, will consider you gums healthy at that point. Your end goal is to get to 3mm or less as measured by your dentist or hygienist. IF the hydrofloss is used properly and even sometimes when it is not, people do get results. However, to give yourself the greatest chance you need to use the HydroFloss properly. Why Is The HydroFloss The Best ? There is no other oral irrigator that I am aware of that is as effective as the HydroFloss. This is because of the magnetic technology that the HydroFloss employs. You will not find this in WaterPiks or other irrigators (except for one that employs an unstudied and untested magnet). The HydroFloss is the only one that has been studied by researchers with the results published in a peer-reviewed journal. This did not happen just once, but twice. In my opinion you will give yourself the best chance to shrink your gum pockets and keep them that way via proper use of the HydroFloss. At all times, you should, of course, be under the care of your doctor or dentist. It's just that if you can shrink those pockets down and your dentist determines that your gums are healthy, you may not have to endure the pain and expense of Scaling and Root Planings or dental surgeries on your gums. This is the experience that I had. My dentist wanted to do a SRP (deep cleaning) treatment. I tried many things to make my gums healthy again, but nothing worked until I started using the HydroFloss. I'm not alone. A lot of people have reported that their pockets have shrunk and that the doctor or hygienist told them their gums were healthy again. Bonus, having healthy gums probably means that you will get to keep more of your teeth (or even all of them if you haven't run into problems yet). It's a powerful tool and that's why I sell them. (Because it has helped me and other people too). You can check out the HydroFloss here. Always be under the care of a dentist when dealing with any oral health problem. In my opinion the best oral irrigator you can use to support healthy teeth and gums is the HydroFloss Oral irrigator - because of it's proven hydromagnetic tech. Other irrigators cannot match the power of the HydroFloss' ability to reduce plaque and tartar buildup between office visits. Organic Lip Balm is awesome because you don't need to worry about what kind of chemicals you are putting on your lips! You can find both of these here. I am happy to report that the HydroFloss is really helping. My dental hygienist noted that my gums are a lot healthier and the numbers show it. The dentist, however, doesn't bother to recommend this, and is stuck in the old fashioned scale and etc. routine. I ignore him and am not going that route again. Congratulations! That's good news and a job well done. I imagine that feels quite empowering. I had a similar experience over 10 years ago and that is how I learned about the HydroFloss. are a great way to measure that change in objective terms. Sadly, many dentists ignore it. But there are also many who promote it to their patients. Unrelated to dental health, I'd like to point your attention to a fantastic show that is touring now. I highly recommend seeing it. Stay healthy and well and than you for reporting back with your results. *** Please note that what customers write may not reflect the view of ToothyGrinsStore.com. You should always be under the care of a health care professional for any health related problems you may have. What Is The Best Oral Irrigator? Question: What is the best oral irrigator? Answer: The best oral irrigator is the hydrofloss.